Andy, i was gonna dig out my shadows of the empire boba fett vs ig88 shadows of the empire card as its gathering dust somewhere in the manloft but theres 1 going on the bay for £10 or best offer and at that price id rather keep mine mate. If you need 1 as dont know if youve got it or not then have an ebay search and grab a bargain pal. Leemcl. I have posted some on For Sale thread. chiffy wrote: Andy, i was gonna dig out my shadows of the empire boba fett vs ig88 shadows of the empire card as its gathering dust somewhere in the manloft but theres 1 going on the bay for £10 or best offer and at that price id rather keep mine mate. If you need 1 as dont know if youve got it or not then have an ebay search and grab a bargain pal. Hi guys, does anybody know which stores may be stocking the soon to be released wave 2 vintage collection figures ? I'm after an Enfys Nest and an Imperial assault tank driver. I've seen a couple of website's where you can pre-order but would prefer to buy in-store. Thanks in advance chaps. Ahsoka, any one will do. Just an update, and still looking for the other wanted figures. 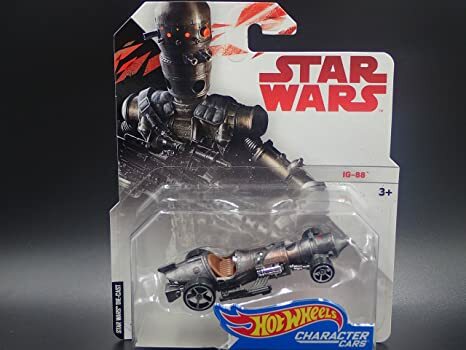 B&M, Home bargains, TKmaxx,Game, Asda and Morrisons all worth a try, most of these as well as other supermarkets will stock the hotwheels stuff.